Kololo Game Reserve lies in the beautiful and malaria-free Waterberg in Limpopo province, bordering the Big 5 Welgevonden Game Reserve. Kololo’s location has great appeal, since part of the reserve is incorporated into Welgevonden where the Big 5 can be spotted, whilst another portion of the reserve offers safe walking, hiking and and biking amongst giraffe, kudu, red hartebeest, impala, bush buck, blesbuck and more, without risk of meeting dangerous predators. This makes Kololo an extremely good choice for families with children, and for people who enjoy getting out and about in the bush as much as they please. A variety of accommodation options are available in the reserve, including chalets and villas accommodating 2, 4 or 6 guests. 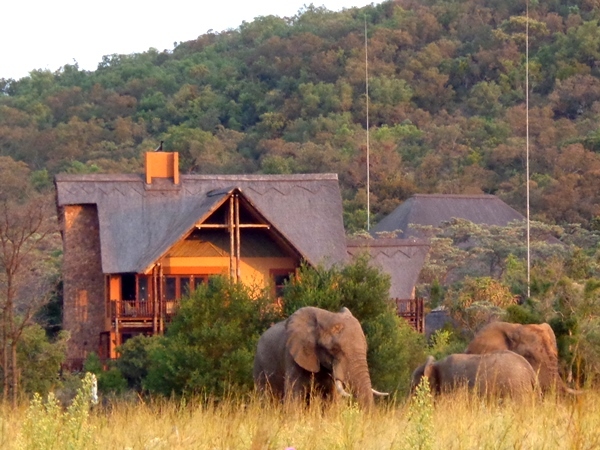 Self-catering is an option in the Kololo Game Reserve. There's currently no specials at Kololo Game Reserve. Kololo Game Reserve accommodates conferences and weddings. Fifty delegates can be accommodated in shared accommodation.